Fed up of the same old Pantomimes every year? Put them behind you with our brand new Improvised Panto at the Waterside Arts Centre in Sale this December. See all your favourite panto characters types in a fabulous new pantomime made up before your eyes using only audience suggestions and a sprinkling of fairy dust. It’ll be a madcap evening of gags, sketches and songs as they give a new spin on classic panto archetypes and traditions. 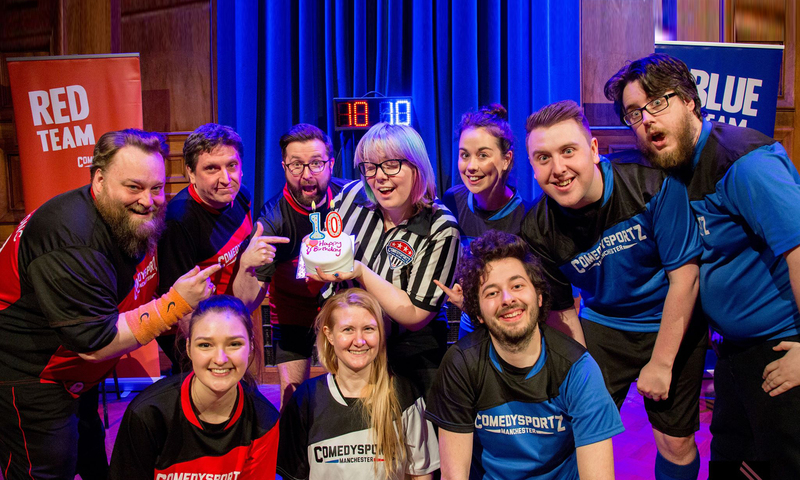 With a few fan favourite ComedySportz games and songs thrown in for good measure, no two shows are the same with this alternative festive treat that the whole family can enjoy. Don’t miss out – book today! We’re performing 3 pantomimes this year and details and tickets can be found here or on our shows page. Next PostNext Celebrating 16 Years of Laughs This Weekend!